There’s 5 days left to enter the Sweet Romance Christmas Giveaway and today I’ve invited Beate Boeker, one of the authors participating in the Giveaway, to visit Ascroft, eh? to tell us a bit about the novel she has donated to the draw. Welcome Beate. Let’s get started, shall we? My romance Stormy Times is a story of trust and of building up your faith in yourself and in others because the heroine Joanna left her fiancée when he cheated on her and the hero Conran, a famous rock star, has some other demons in his past to tame. Neither of them is ready for a relationship, but a snow storm and a puppy bring them together in this holiday romance which is set on Long Island. That’s difficult to answer as it’s not an active process. It sort of happens by adding background and family and beliefs and weaknesses while I’m writing the story and developing the characters. I think that particularly the weaknesses and the regrets bring a person to life. As to the place, I once spent a wonderful vacation on Long Island and wanted to get back to it, even if just transporting myself to it by means of a novel. Well, being a woman, I started out with writing from the woman’s perspective but as I grew more experienced, I’ve also added other people’s point-of-views. I found that particularly helpful when I had to give another insight into the story or had to show the heroine from outside while writing my cozy mystery series Temptation in Florence. My latest romance Mischief in Italy switches the point of view with every new chapter. That was great fun to write! Thanks, Beate. You’ve given readers an intriguing peek into Stormy Times and your other novels. I hope they will enter the contest for a chance to win a copy of the novel as well as all the other stories in the prize bundle. Enter the Sweet Romance Christmas Giveaway here. 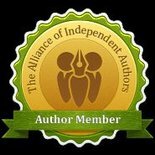 This entry was posted in December 2013 and tagged Beate Boeker, romance fiction, romance novels, Stormy Times, Sweet Romance Christmas Giveaway. Bookmark the permalink. Thank you for welcoming me, Dianne! I appreciate that you invited me to your blog today! I love stories that include animals, probably because we live with 5 of them right now! They’ve always been a big part of my life. 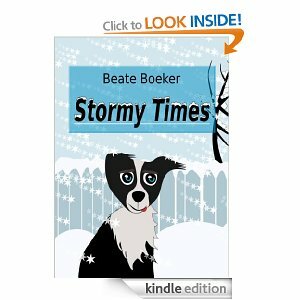 Stormy Times sounds like a good story for the holidays.